These are all great details. Shyvana is a much more interesting character than previously mentioned in the last background now in the bio alone, and then you say all this stuff about her too!? Is Shyvana capable of proper flight in her dragon form outside the Fields of Justice? Also, where would you most likely find her during off-time? How does she feel about being turned into a cat? And does she enjoy it more then being turned into a squirrel? Anything is better than a cupcake! 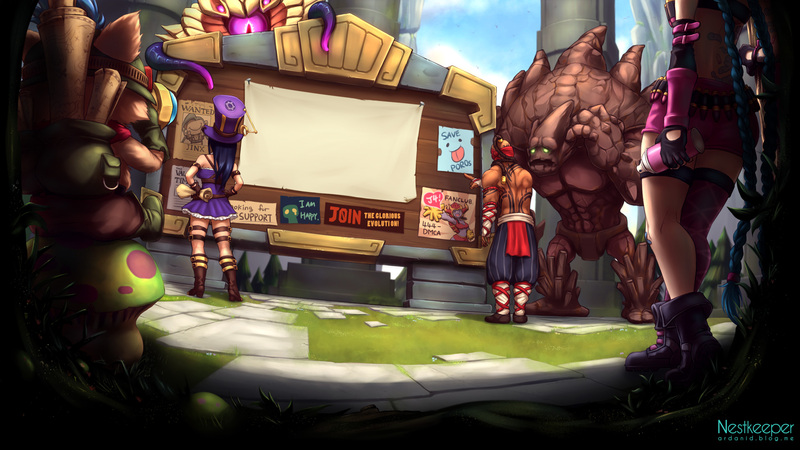 "At the moment, Shyvana and Jarvan share a mutual respect of each other. Shyvana considers him a trusted friend." Let us all give a moment of silence for our friendzoned bro. The only proper way to read Shyvana's lore is with this (http://www.youtube.com/watch?v=5J5XRl6RKk0) playing in the background. As a huge shy fan let me first thank you for giving her a little love. I LOVED the opening line but then when I got to the body I couldn't help but feel like something was missing the whole time I was reading it. My first though was, why did her father just "fall". I understand it was a battle that was probably held many times but why not make it feel more like a final stand situation by adding either "in a great/epic battle her father finaly fell" or "finally tracked down, her father fell in a final stand to protect her". I ask this because in everything I've ever read or seen when two dragons duke it out its supposed to be no laughing matter and this sorta feels kinda like he was walking down the street one day and got mugged, oops hes dead. I also kinda feel like the J4 portion is lacking just a couple words as well that would really make their battle stand out. Just maybe even a sentence of description involving how "they" worked togather. I get its a story about shy and partially how j4 and shy met and learned to respect one another but it still involves two awesome warriors ingaged in battle with a supposedly "epic" dragon. Now for my one question I would really love to know. How would Shy react to anything happening to J4? I know they are not love interests, atleast at this point (mad props if you ever make that happen, come on dragon slayer with a half dragon? EPIC.) but is their bond more of just a mutual respect amongst warriors, or is their maybe a little something in their that would cause her to let all hell break loose to aid him if he ever came to harm? Hi RiotRunaan, thanks for the AMA and I hope you are still answering questions. I've been wondering, how common is the union between dragons and humans? It sounds like the pairing is talked about casually by you (as in, yeah they go human form and bam, children) but in Runeterra is this something really rare? Is Shyvana the first human to be born like this? If she is, it is understandable why she feels so uncomfortable with her condition and overall treat she revieved, but then again you mention that dragons can take on human forms and have children with humans like a regular fact. Wouldn't everyone be super surprised to see the union actually producing offspring? (Humans and dragons) Do dragons take on human form to mess around humans? Study them? Can dragons be genuinely attracted to a human? (Are human females that hot, that dragons want to be around them even if they seem to find them unworthy or weak). If she isn't the first half human-dragon, then would mean that in Runeterra there are descendants from ancient dragon-human mixes and so, carry dragonborn blood in them? Would be safe to asume that they can no longer transform or have any dragon powers because of the fact that they have 1/xth of dragon blood and it is too diluted. And about Shyvana's mother, according to what you have said she should be a really interesting character. For Shyvana's father to fall in love with her , maybe a great Sorceress that battled him which ended in their falling in love, or maybe she wasn't that great warrior but a princess which Shyvana's father was suppossed to kill but he ended up falling for her because of her amazing personality. All in all, a great story on its own, but my question there is if she indeed was an amazing character or there is a chance she could be just a super regular farm girl type. Following on that. Why did Shyvana's father chose not to talk about her much?, if indeed she was someone interesting enough for him to fall in love with. Why didn't he talk about her mother, why didn't he rise her to be a loving human or at least understand humans more if he himself understood love and possibly the human spirit, courage, determination, etc? 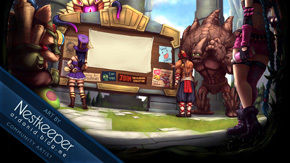 Attributes that surprised Shyvana later when she found them when she met Jarvan? Did Shyvana's father really regret everything that happened ( the been ostracized, looked down by their dragon peers and living that bad life) and that's why he chose not talk about Shyvana's mother? Or was he just a bad parent? Seems to me that Shyvana's behaviour would have been much better if her father just told her about her mother and humans in general a bit more. Or is it that somehow dragons are bound to human emotions and cravings when they take human form? Wwhich could explain things a bit better on the pairing front, but also rise questions as to why do Dragons reject the pairing so much. Also does Shyvana ever feel the need for human embrace, love and affection (being hugged, kissing etc). Asuming Shyvana is attracted to males, what happens if she has a child with a human? Is that child 1/4th dragon blood? Does it mean they can no longer use powers, or very limited? And what if she falls back to dragon society or even if another dragon happens to wonder on human lands or other reasons, and end up having children with another dragon. Does she have a 3/4ths dragon blood child (or some similar number)? Can the dragon blood line be refined again into full dragon?. - Occurrence of dragon/human pairings and overall relationship between races. - Relationship between Shyvana's father and mother and reasons behind the father on Shyvana's upbringing. - More questions about the humanity of Shyvana and dragon blood in general. Ooo, that was very nice. A big change from before. liking this shyvana is one of my favorite champions, keep this up it is really interesting.